The Inklings is a kinship that enjoys gamily regularly. We follow many games and have a 10+ year history of raiding, exploring, PvP, creating walkthroughs and strategies. We care about quality game experiences and the gaming culture. We invest in new MMOs and games. The Inklings kinship was established in 2007 by friends that share similar values and have a passion for gaming. Our game environment is meant to be a community, which interacts and develops its relationships. We behave in a manner that exhibits kindness, charity, and respect. 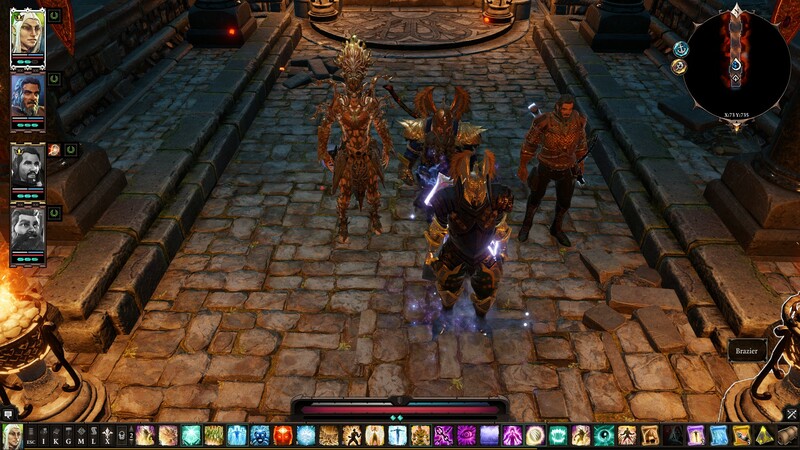 In March, Py and Wise finished the year-long stint into Divinity Original Sin 2. This was our first dip into turn-based RPG in a co-op. Here are some screen shots as we move into the final encounter and a fight scene with all the rage while in its midst. The writing of the game was definitely funny and well done. The ending a bit disappointing, but many mechanics were well thought out. In April, Py, Wise, and Bel took up Monster Hunter World as it hit PC in Q3 2018. After figuring out some odd Menu/UI mechanics, we have really immersed ourselves into it. We are having fun, and seeing the sheer action combat, co-op interaction, and deep exploration. 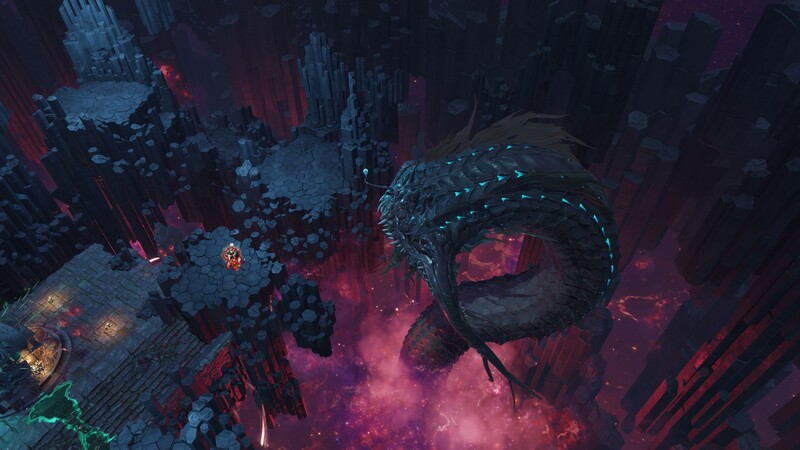 The game on first pass does not quickly show its depth, but the crafting and achievement ladders as well as the replay of the encounters and exploration are certainly keeping us tuned in. 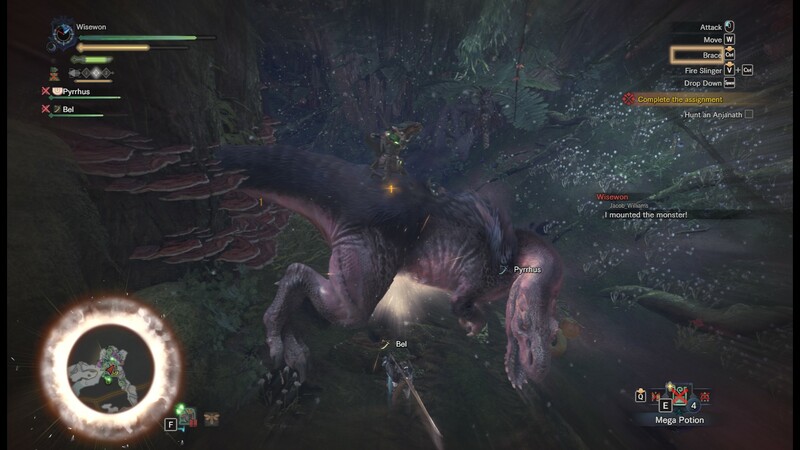 Here you can see the three of us fighting the big monster at the end of the first Epic. Wise has mounted it, and Py and Bel continue to deal out damage. I am currently thinking about how to redesign the website to make it more of a social hub for Inklings old and new, across all the game we continue to play. Your thoughts are welcome. *Days, timezone, and VOIP have shifted over time, but you get the point. We are here! I get negative KP for fake signing up for an event lol. I read over the Pantheon MMO website and you have me hooked. I have been waiting for a game to go back to the trinity. Good to hear from you Immy! Hey Folks! Just wanted to drop in and say hello! I hope life is treating you well! Has anyone heard from Z? We have all the hatches battened down in FL. We are prepared and just need to ride it out. I'll get back in touch once everything has passed us by. Hey guys. So, I went home for Labor Day weekend and fixed my account. So, I'm back on and getting ready for Path of Fire. It was awesome. Great fun running around Crustal Desert with you guys. Oh How did VG go? Hey Imy - we did have good times...we are creating new memories, too - hope all is well! Thanks, everyone, for the good baby wishes! I have not been paying attention to the shout wall. Gratz Pan on the new little Inkling! Adeline Deegan Born! - 7lb 14.8oz at 3:37 a.m.
8k AP!! On a roll! Put 4 Pepper Steaks in guild vault. Part of collection achievement. Can make more if needed plus other steaks for the AP. I use [link] for finding the gathering nodes I need. It's a really good site, I use it for event timers as well. Do you all think a standard template for where to farm resources (like map/route) would be a useful guide type? Ding Mastery Rank 68. Thanks for the assist Bel. Keep an eye on your gems. There seems to be some issue. Link below. Trouble loading. Not sure on who's end the problem is. Last say tyrians for th Gem contest! Done with diving. w00t!! Another 18 AP and a MP. Plus that last JP was cool, Hidden Garden at Diedre's Steps. Tequatl is up in 5 minutes and client update is taking 5 billion eons!!! 100% map completion on my Thief. Been There, Done That! Also posted Map Completion Calculation for clarity. Thanks for the fractals helping with my legendary weapon!! Got all mastery tracks done now.